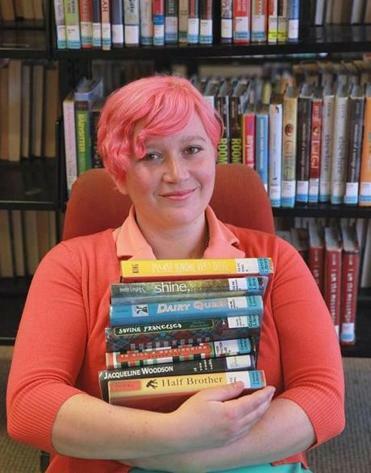 Boston Public Library’s Laura Koenig says parents in YA books have become more three-dimensional. In the classic 1960s teen novel “The Outsiders,” the parents of the troubled main characters are either abusive addicts or long deceased. In Zibby Oneal’s acclaimed 1980 young-adult novel “The Language of Goldfish,” preoccupied parents ignore their daughter’s depression. In 1951’s “Catcher in the Rye” — a book now considered a staple of YA literature — Holden Caulfield thinks that adults, in almost all cases, are phonies. These days there’s a new type of parent in YA books — the kind who listens, shares, accepts, and is integral to the plot. The parents in John Green’s “The Fault in Our Stars,” a bestseller that has been adapted into a movie that will be released in June, are essential to the storyline, fully realized characters who struggle with their own grief and deeply understand their teenage children. David Levithan, features a range of dynamic adults in his popular novels, including an empathetic mother who supports her gay son’s dating life and has romance troubles of her own in “Will Grayson, Will Grayson,” which Levithan cowrote with Green. And the protagonist of Meg Rosoff’s “Picture Me Gone” adores her idiosyncratic parents, who have interesting professional lives and complex friendships. Librarian Laura Koenig, head of central library youth services for the Boston Public Library, says that parents in YA literature have evolved into three-dimensional, likable characters, partly because that’s what readers want and also because there’s just a larger variety of young-adult literature out in the world. There are exceptions to this, of course — dystopian novels often demand that adults are out of the picture for plot purposes — but for the most part, the boom of YA books and a new interest in realistic stories have given readers fictional parents who are well- developed characters. YA novels have pulled away from what Koenig calls the “problem novel,” where a protagonist learns a lesson and “typically, [he or she has] a parent who doesn’t notice much or is dead.” One of her favorite contemporary authors is A.S. King, whose 2010 novel “Please Ignore Vera Dietz” features a father who is so three-dimensional that he narrates some of the book. King, who’s based in Pennsylvania, explains that not everyone in young-adult publishing was ready for Vera’s dad, Ken Dietz. When King’s manuscript went to auction and publishers began to woo her to get her novel in their lineup, half of the interested editors admitted that they planned to get rid of the father’s point-of-view altogether. King wound up choosing an editor who approved of her choice. When “Please Ignore Vera Dietz” was named a 2011 Printz honor book, King told her audience — a room full of editors — that it should be assumed that teens can think beyond themselves. Nancy Siscoe, senior executive editor with Knopf Books for Young Readers, believes that the role of parents in YA literature has shifted because authors and editors have, in fact, learned that teens are sophisticated and demand more honesty in writing. Beverly Horowitz, vice president and publisher of Delacorte Books for Young Readers, agrees and says kids live in a world where there are more diverse families and transparency with adults. Writers can’t avoid that realism. Amy Pattee, an associate professor at the graduate school of library and information science at Simmons College, whose latest book is “Developing Library Collections for Today’s Young Adults,” also notes that authors themselves have public profiles that they share with their readers. Through Twitter and blogs the authors establish themselves as sympathetic adults, so their readers trust their adult characters. Lauren Myracle, best known for “ttyl,” Stephen Chbosky, author of “The Perks of Being a Wallflower,” and Green often have peer-like interaction with their readers online. “They work to really establish themselves as the cool adults,” Pattee says. And many of these authors have become parents themselves. After having a child, it’s difficult to write a parent who doesn’t matter. Siscoe, who’s working with Carl Hiaasen on his first book for teens (“Skink — No Surrender,” out in September this year), wonders whether the next trend will be better-defined young-adult characters in books for grown-ups.